Westbrook designed the temporary works required to construct a new bridge over the Illinois River in Spring Valley, IL. 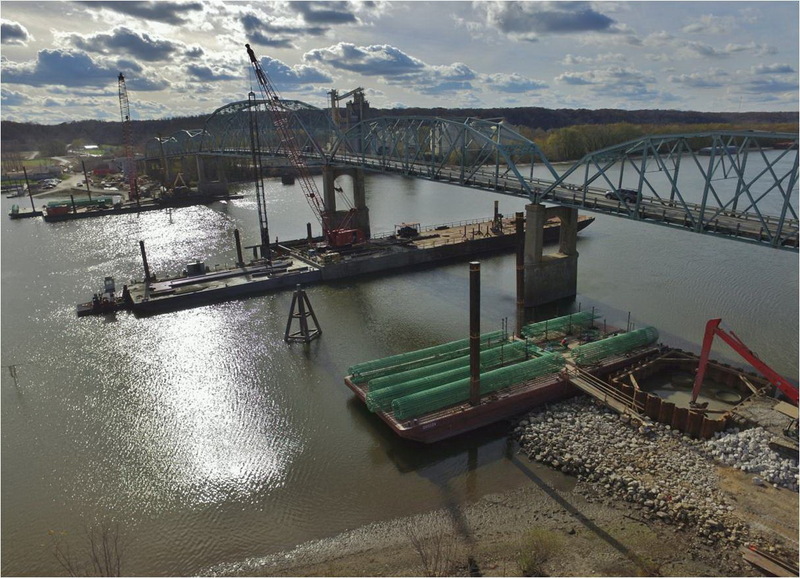 Designs included five cofferdam designs, a platform design to support a drill rig on top of the cofferdam, and stability calculations for a 330 ton crane working from a barge. Design calculations and plans were also developed for the erection of temporary bents used to facilitate the placement of the steel plate girders, as well as lifting calculations to bring the girders from the ground to their proposed locations on the temporary bents and existing piers. Check out this YouTube video showing drone footage from June, 2017 courtesy of NewsTribune La Salle, IL.